I'm so glad I made the investment to go with aligners rather than metal braces. I've heard stories of people having food stuck in their metal braces, and I didn't want to go through that. 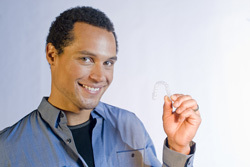 It's so easy — all I have to do is remove my aligners when I eat.